Nurkić is an extraordinarily talented big man who is having the best season of his career, averaging a double-double on career-high 57 percent true shooting. He’s preternaturally nimble for a guy his size, and has anchored Portland’s surprisingly stout defense since he arrived in a trade from Denver, and the team will be greatly diminished heading into the playoffs without him. 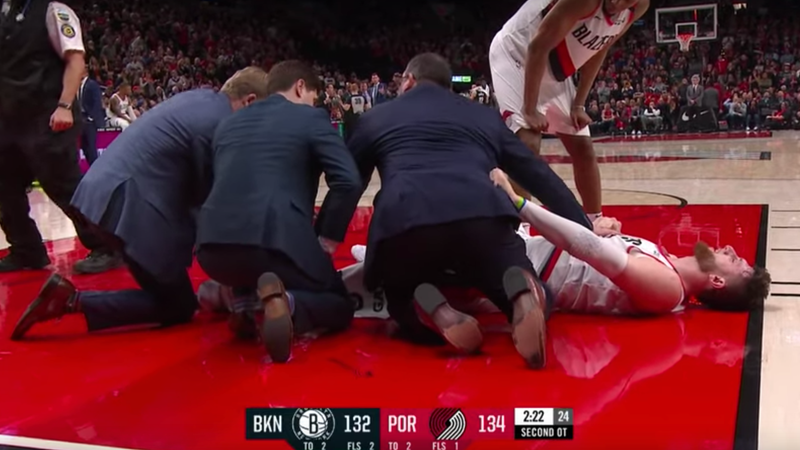 More importantly, this injury appears to be every bit as severe as similar injuries to Paul George and Gordon Hayward, which means it could very well alter the trajectory of Nurkić’s career, at the very least. This post will update as information is shared about his condition.